This was just a quick idea I had. I wanted to get it down in text before it slipped away from me. Alright, let's not mince words here. While Lord of Shadows was a good game, it had its own share of problems... Not the least of which was that it didn't really feel like a Castlevania game. 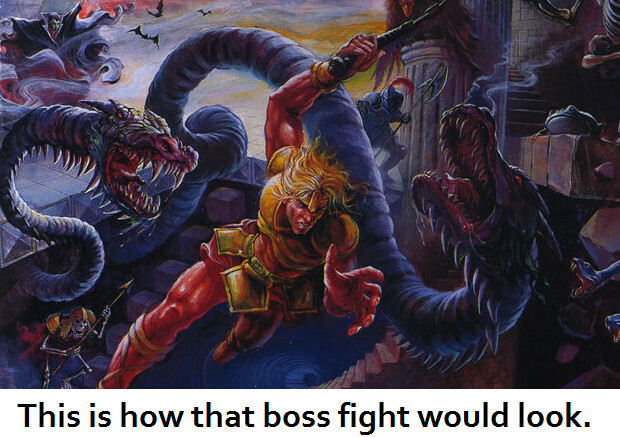 It was more an in-name only title, resembling the Castlevania series only by virtue of the name slapped on the title. It benefited from this, to be certain: The previous Castlevania titles in 3D were just not that good. To be fair to Konami, Castlevania 64 (and the rerelease/sequel thing with the Werewolf) were released at a time when nobody really knew how to make truly 3D games work well. The critically far more successful Symphony of the Night was released as an underbudget, wacky idea that just took off spectacularly. And to be truthful, the 2D games have managed to keep the distinctive Castlevania feel even with the adoption of the Metroidvania formula. Now, personally speaking, I feel that Lament of Innocence, however unusually executed it was, was the best Castlevania title in 3D. It had everything that made it feel like a Castlevania title and made the Metroidvania theme work in 3D, albeit in a funky and roundabout way. So I thought about it and wondered... How could one bring that distinctive Metroidvania-style of exploration into a 3D Castlevania title and still keep the game fresh and exciting, while also keeping a strong focus on the platforming instead of relying on just the combat to keep things interesting. The answer turned out to be pretty simple. See, I was finally unboxing my extensive PS2 collection, and I came across the box which had the last few games I'd been playing before I packed the whole thing up, and among the two titles were Prince of Persia and Spider-Man 2. Now, imagine this: You are a Belmont, and your job is to break into Dracula's castle. All you have to start with is your whip and your wits. You can use you whip to latch onto pieces of the scenery, but then you have to climb up it. Trying to swing with the leather form of the Vampire Killer just causes it to slip free from the grab point and you to fall on your back. So you assault Dracula's Castle, climbing up an outer wall, and you comes across a whip upgrade. Not only does it magically change your leather whip into a mighty flail, but you can now use those same climbing points (and other points) to use the whip to swing around. 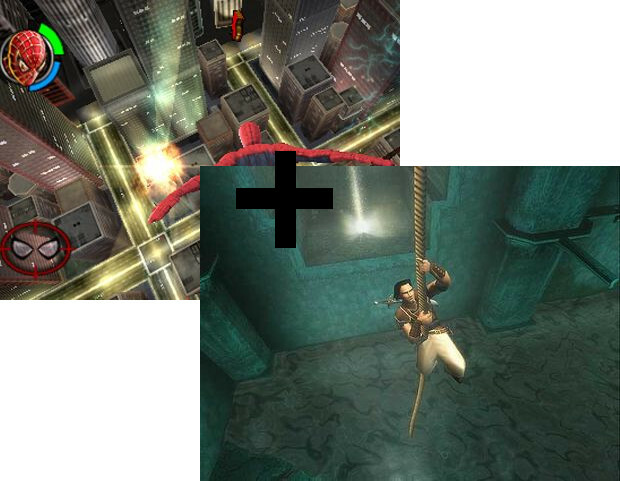 This allows you to explore more areas, and he eventually comes across a cape which allows you to glide short distances. And so it goes with standard Metroidvania upgrades, until by the end of the game you're practically freaking Spider-Man, swinging to and fro across the extensive Castle. And when you face Dracula, you're not bound to some small room. He blows the roof off with a powerful spell and you fight him across his entire castle, showing you just how far you've come ever since you entered. Enemies which used to be major foes either run away or are mere distractions as you and Dracula battle in a fight which sees Castlevania reduced to rubble before Dracula's death as you use the arsenal of weapons and magical items you've pillaged to fight this supernatural monster on even footing. Or hey, we can always say that Lord of Shadows was what we always wanted out of a 3D Castlevania game. I guess that works too.